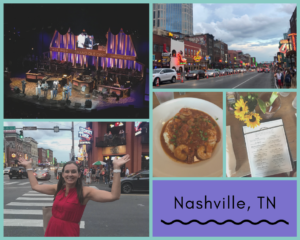 What’s All the Fuss About Nashville, TN? fun! So glad I did – read below for what I enjoyed. 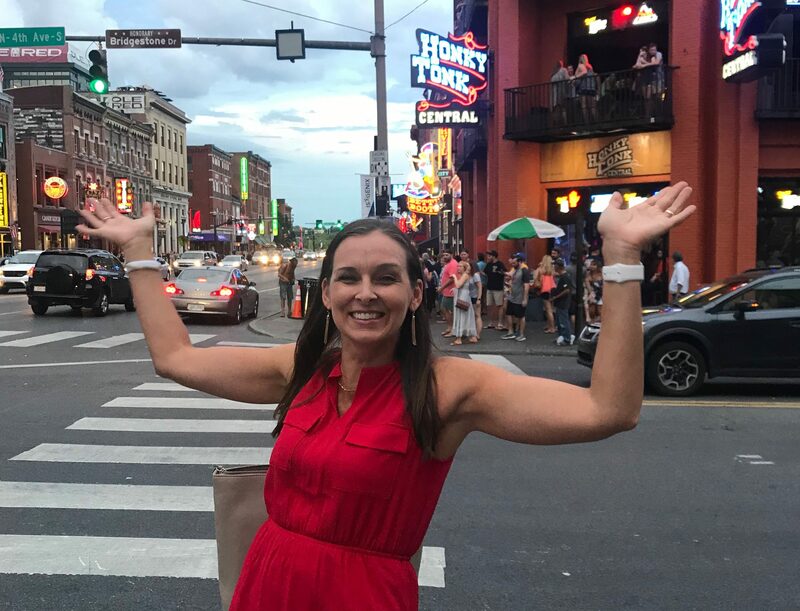 I spent my time at Broadway and the Gulch, and even enjoyed an evening at the Grand Ole Opry. Wow – talk about entertainment! Travel tip: book tickets and enjoy a show at the Opry, you won’t regret it. Tickets are an affordable price point. There’s a good mix of old country music, new country music, dancing, and comedy. It’s an entertainment haven. It’s the kind of city you find yourself strolling the street to pop into a small bar, relax, and experience live music. Not to mention, the southern food is incredible. From bbq to shrimp and grits, and so much more, there’s food options galore. The stereotype of being a crazy country music fan and wearing cowboy boots to “fit in” at this city was completely inaccurate. I danced to a band playing Def Lepoard and wore my high heals all week and fit in just fine. This city offers so much more than boots and country music! This destination deserves a spot on your next weekend getaway list.